Sammy Lau (Young Fund Loran Scholar ‘10) completed his studies at Trinity College in the University of Toronto, where he majored in history and human geography. On campus, he served as the Secretary-General of the North American Model United Nations and was a member of the university’s Discipline Appeals Committee. He has also volunteered on the executive committee of a Member of Parliament’s election campaign. For two summers, Sammy interned with Office of the United Nations High Commissioner for Refugees in Geneva and London. He also worked in sales and business development with Canopy Labs, a customer analytics company founded by Wojciech Gryc (’04). 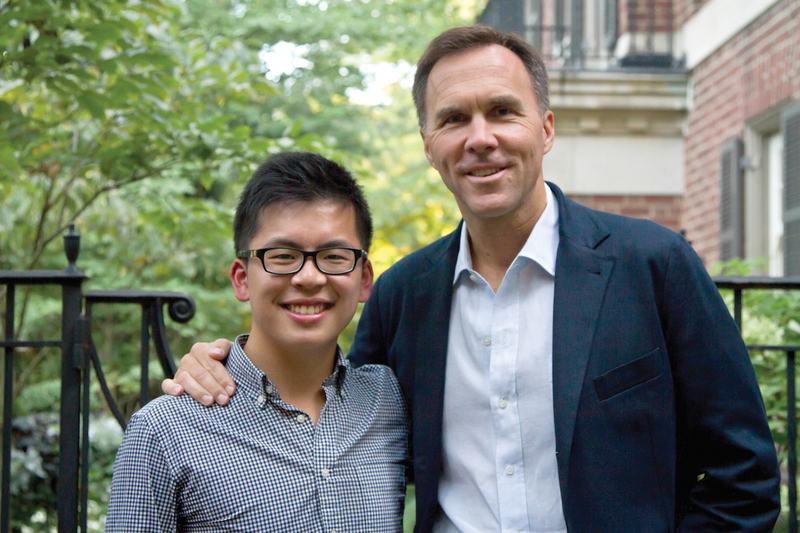 Upon moving from his hometown of Vancouver to Toronto, Sammy was paired with Bill Morneau, then-Executive Chairman of Morneau Shepell, Canada’s largest human resources firm. The past board chair of the C.D. Howe Institute, Bill was appointed in May 2012 as the Pension Investment Advisor to the Ontario Minister of Finance. He also served on the boards of several national and international organizations, including the Loran Scholars Foundation. Today, the Honourable Bill Morneau is Canada’s Minister of Finance.